The red rock country of Sedona, Arizona is one of the American Southwest scenic treasures. Located in north central Arizona in the beautiful red rock country at the base of the Mogollon Rim just 90 minutes north of Phoenix. Sedona offers unparalleled outdoor activities that includes 100's of miles of hiking trails in scenic red rock canyons. Camping in the Coconino National Forest, back country drives and 4 wheeling adventures. For those who enjoy natural beauty in a more luxurious setting. 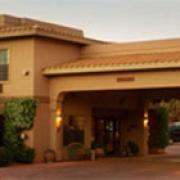 You will find Sedona, Az has world class resorts, hotels, dining and shopping. World class, hotels, dinning, hiking, camping and outdoor adventures along with luxury amenities await you under clear, blue skies. Sedona is friendly everything!